Combine elements to craft various types of magic. 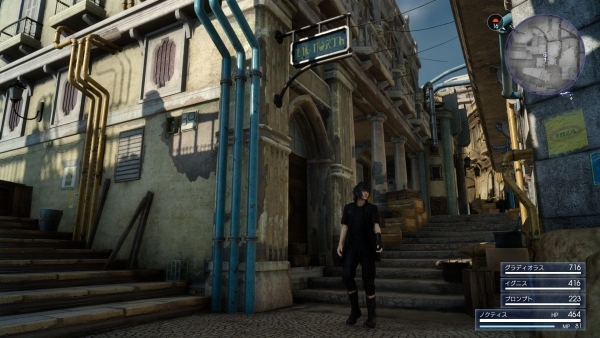 Following news today that Final Fantasy XV has gone gold, as well as a new CG trailer and details on the game’s upcoming downloadable content, Square Enix has shared new information and screenshots of the game’s magic systems, night monsters known as “Daemons,” travel, and more. 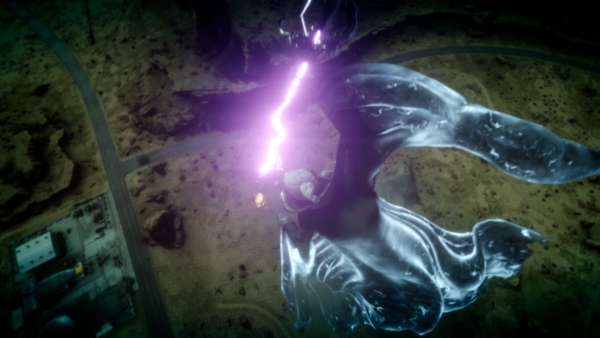 Fire, Ice, and Thunder make up the foundation of Final Fantasy XV‘s magic system. You can purify magic using the elements you absorb and magic bottles found all over the game world. You can also purify magic in combination with items, rather than just elements, to add recovery effects or status ailment effects to the magic when used. By mixing and purifying these three elements, the kinds of magic you’ll get when it’s put to use will significantly vary. 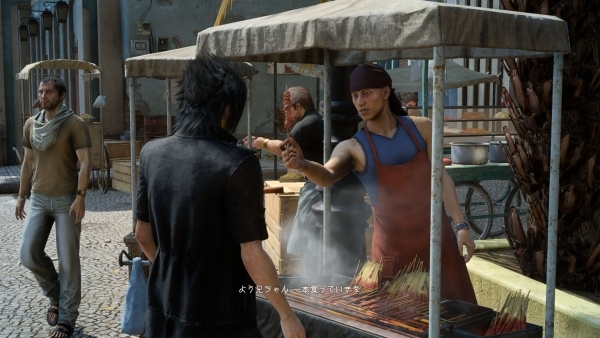 Magic isn’t just limited to Noctis either, his comrades can also use magic. Elements can be absorbed at various locations on the field. 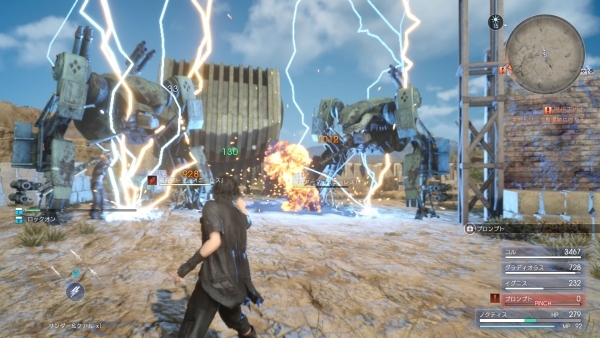 The following screenshot shows Noctis absorbing the Fire element, but similar absorption points also exist for both Ice and Thunder. 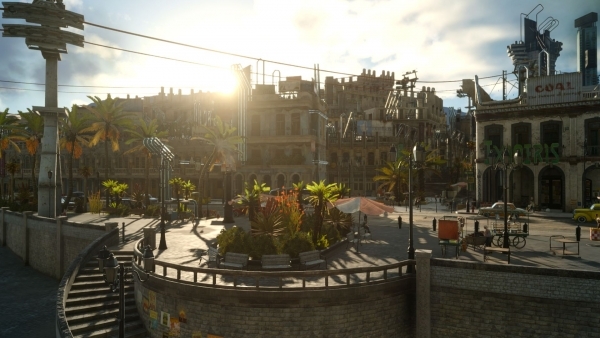 You can create magic that casts Thunder, as well as heals Noctis and his comrades with Cure. 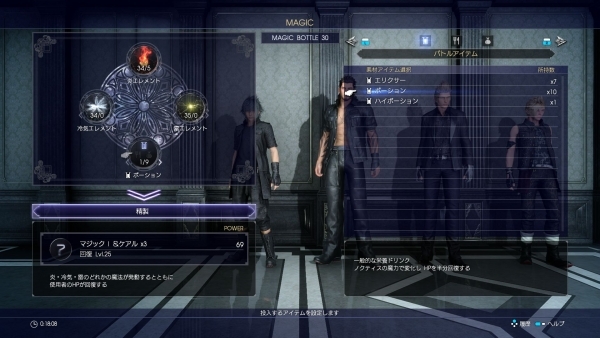 As for Noctis’ comrades, elemental magic can also be set under their “Sub Weapon / Element Magic” slots. 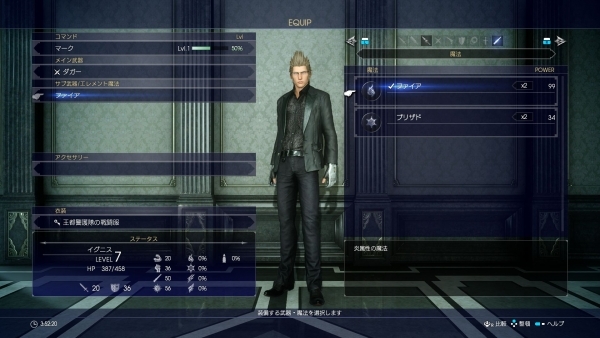 Here we see “Fire” set for Ignis. There are hundreds of combinations of magic you can create. Gather up elements and create yours! 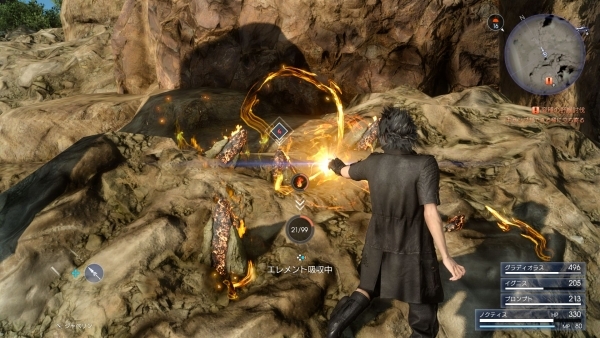 Ring Magic is a type of magic that can only be used by Noctis using his Ring of the Lucii. There are a few different types of Ring Magic, but this time “Death” is the focus. Death drains the HP of enemies, and the longer you use the spell, the more your enemy will physically deteriorate—to the point where it can vanish into thin air. When night falls, powerful monsters known as “Daemons” appear. With their overwhelming strength and HP, they are impossible to defeat through ordinary means. Their ranks range from series familiar Bombs to iron giants with powerful swords. Since you don’t have to fight them, it is recommended you flee when you encounter Daemons until you’re at a high enough level to compete with them. The following is an introduction to the travel system that will prove useful for Noctis and his comrades. If you’ve already visited a specific point, you’ll be able to fast travel back to it. This is handy for when you’re short on time. 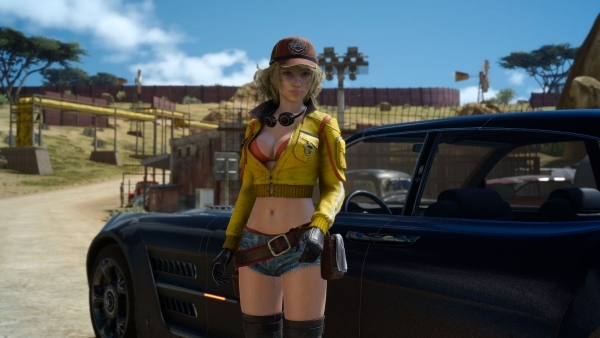 The generously kind Cidney can bring the Regalia to places where Noctis and his comrades may have separated from the vehicle. But it will cost you. A summon’s method of attack varies depending on where they’re summoned. 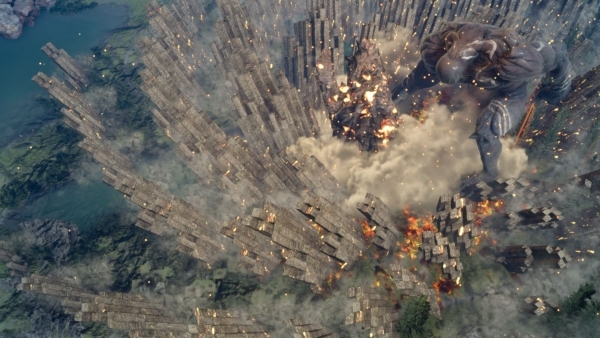 When the Titan is summoned near Noctis, he can use his large build to create an intense fissure. 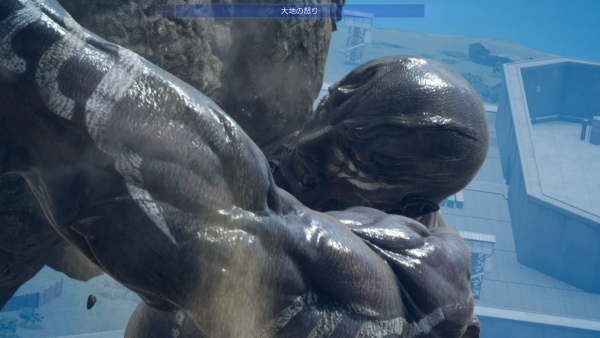 When the Titan cannot be near Noctis, he’ll throw a large rock from a distance. Ramuh appears surrounded by thunder. 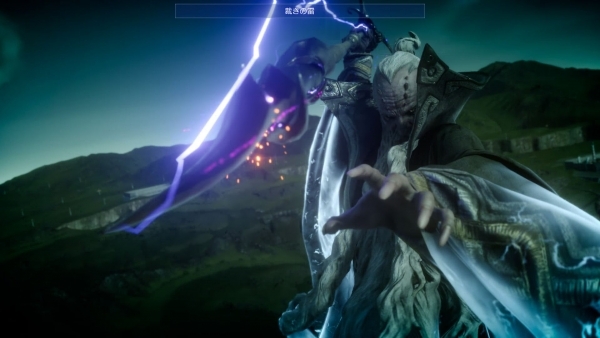 When he is summoned far away from Noctis, he’ll throw a spear charged with lightning. 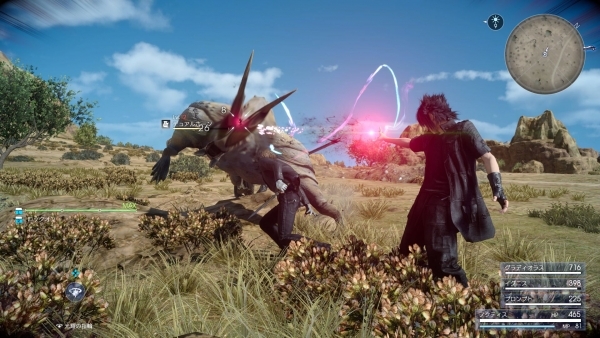 When he is summoned close to Noctis, he’ll slam the same spear into the ground. 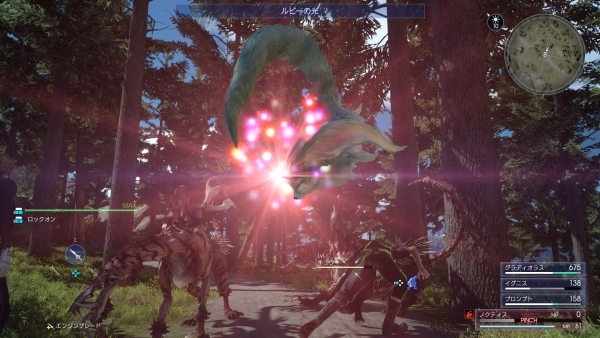 When Carbuncle is summoned, a soft, ruby-colored light heals Noctis’ HP, as well as increases his attack and defense power. 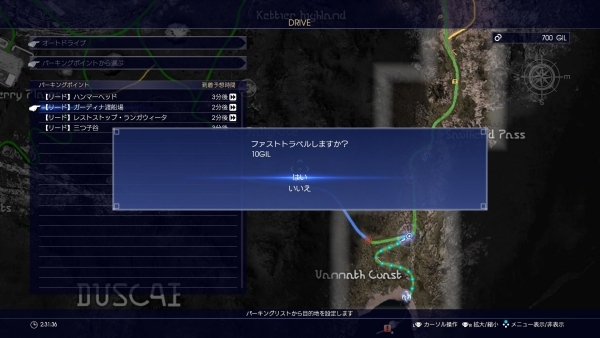 During this period, a Carbuncle icon appears next to Noctis’ name in the status bar and a ruby color shines over his head. 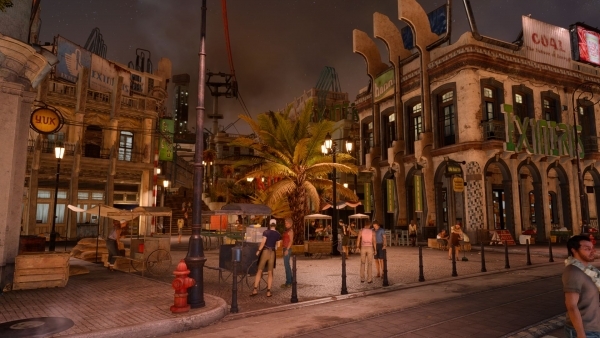 The series’ familiar moogle appears in Final Fantasy XV as usable items. 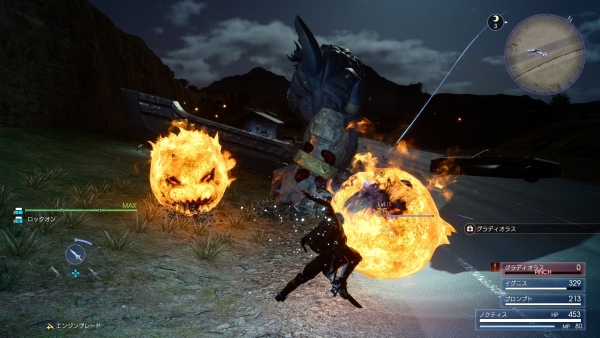 When Noctis tosses one at enemies, it acts as a decoy. 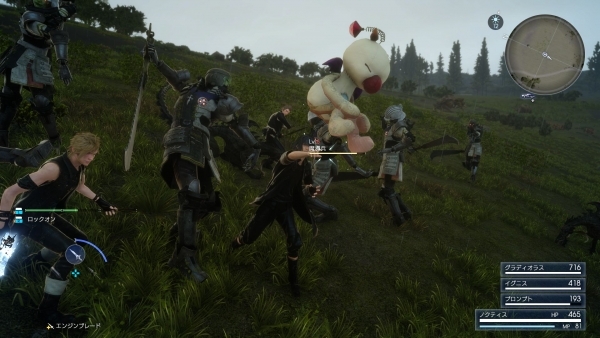 Enemies will focus on the moogle and attack it instead of you. The effect lasts until the moogle is destroyed. Some enemies are immune to the decoy effect, however. You can also use moogles to attract a mob and cast a spell, but it will hit your moogle, too. The industrial Lestallum is a city filled with people. Brimming with an exotic atmosphere, Lestallum is a busy town where people are always chatting and food stands are set up day and night. And skewer-grilled meats to buy. 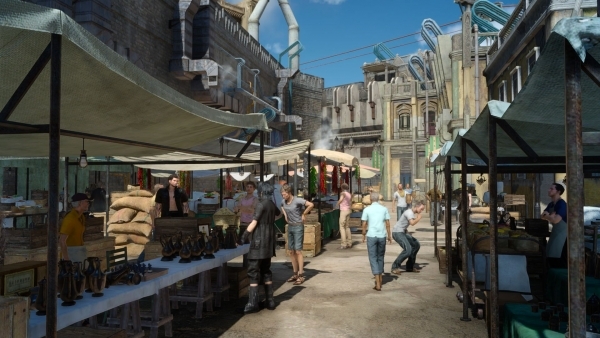 Final Fantasy XV is due out for PlayStation 4 and Xbox One on November 29.